Dr.Panethra L. started his career as a teacher educator and worked as Professor & Principal at pretigious K.L.E College of Education, Bangalore. He has participated and presented several research papers at State, National and International seminars, conferences organised by various Institutions and Universities of the Country. He has published papers in various Educational Journals and books, directed many workshops and seminars on Primary, Secondary, including teacher education programs. He was associated with MHRD as a member of curriculum committee. 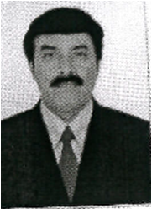 He worked as a faculty member, member of Board of Examiners of various Universities. He worked as a research fellow for many research projects undertaken by Institute for Social and Economic Change. He has studied and Adjudicated M.Phil and Ph.D thesis and was Identified as a member of Visiting team by NCTE. He is a member of various professional Journals and Organizations.